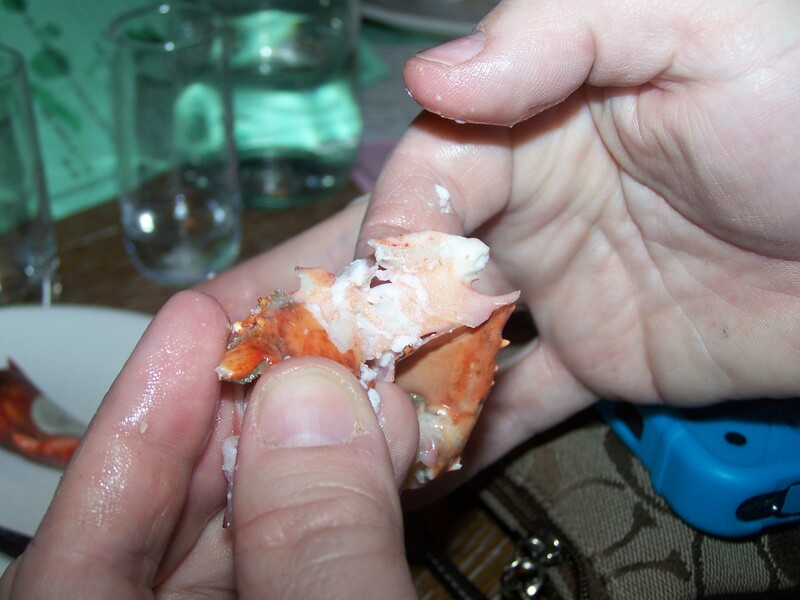 While we waited on our table in the main dining room, we sat at the Oyster Bar and tried just about everything–East and West coast oysters of every variety, snow crab & lobster knuckles, oyster crackers and salt & vinegar chips. 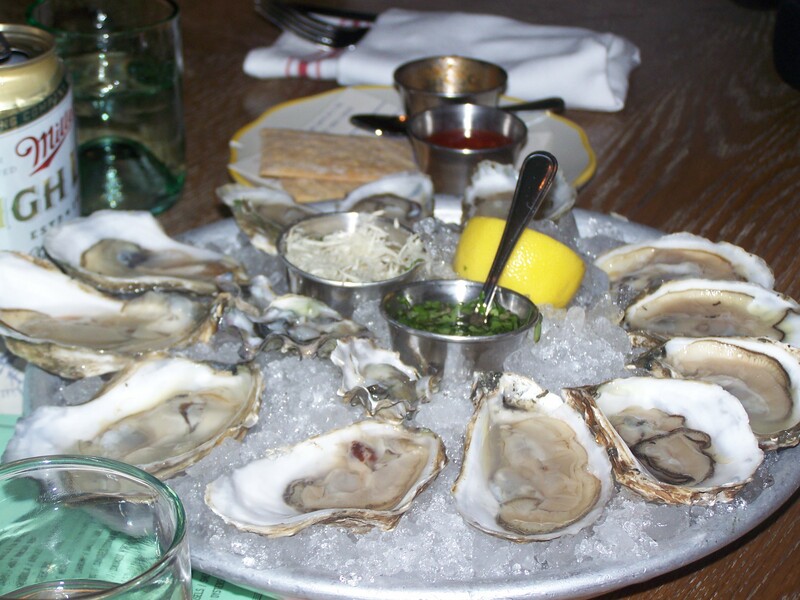 The oysters were served with fresh horseradish and a mignonette sauce (a sauce of vinegar and shallots, typically served with raw oysters). The mignonette sauce was so bright and fresh, it would awaken even a sloth. 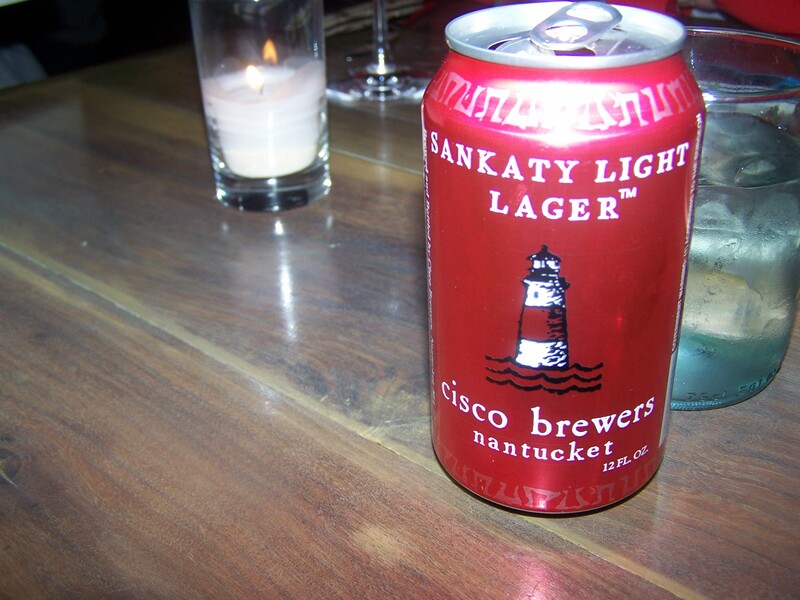 You can’t have oysters without a cold beer, so I took the chance to try the one in a red can with a lighthouse pictured on the front—Cisco Brewers Sankaty Light from Nantucket, MA. 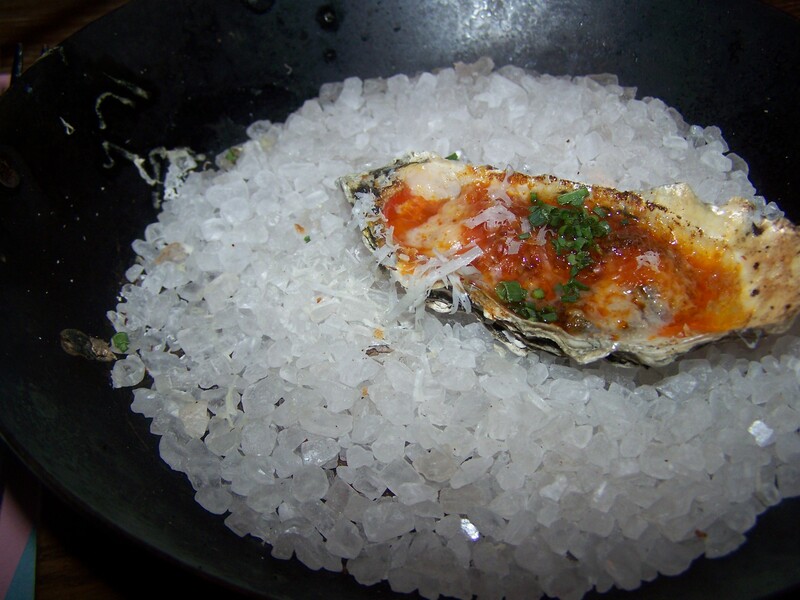 This oyster was served over warm “coals,” roasted in a wood-fired oven with parmesan cheese and bacon at $3 a pop. It was one of the most beautiful things I’ve ever seen. The Opi Salt & Vinegar Chips were crunchy…the perfect bar food. 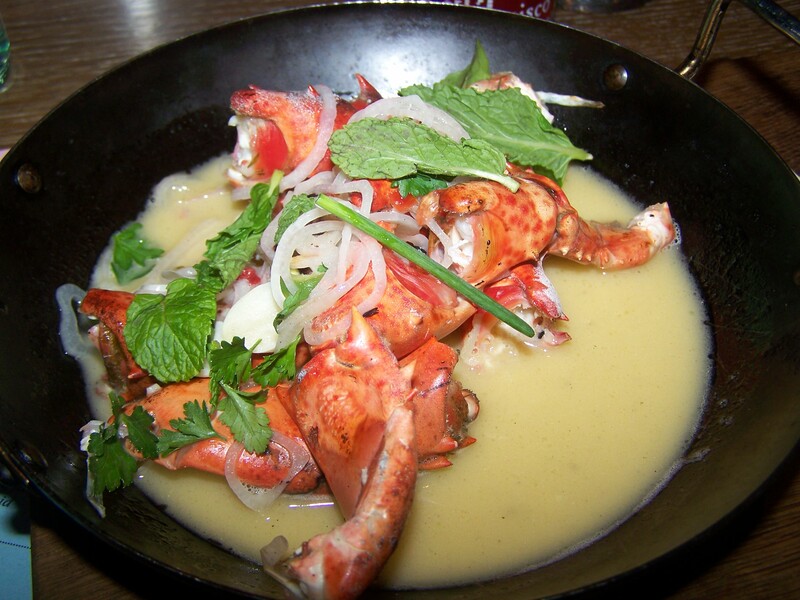 Next, let’s talk about the snow crab claw & lobster knuckles in a chili-lime butter bath. It took a little work, but once I got my hands on the cracking tool, we were good to go. Who wouldn’t want to eat something presented that beautifully? 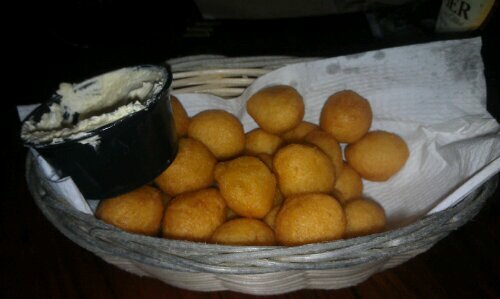 Corn milk hushpuppies, served “beignet style” along with cane sugar butter – $6. Cornmeal crusted haddock, brussels sprouts, bacon, pepper jelly – $25. 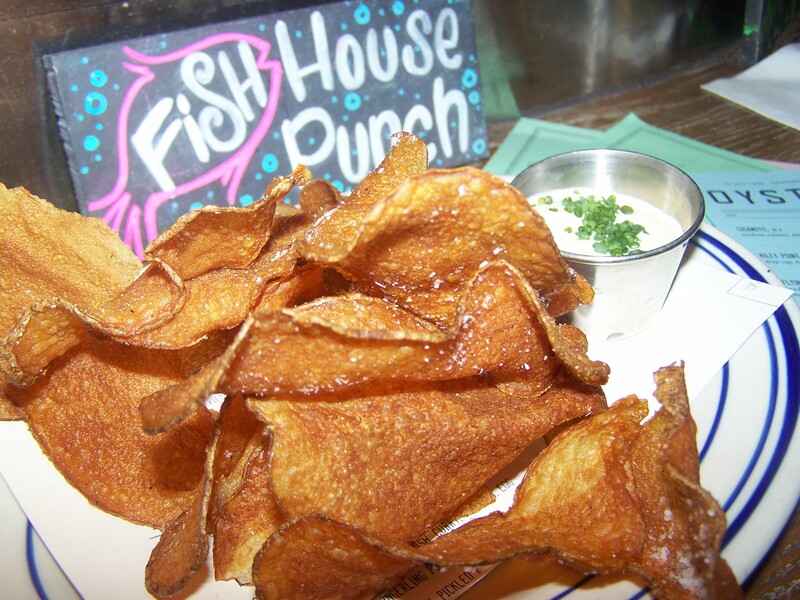 Fish & chips, beer battered haddock, malt vinegar aioli with shoestring fries- $20. The fish was huge, crispy and delicious. There wasn’t a single fry left on my plate. I’m about to make a big statement. This is the best bread I’ve ever put in my mouth. The bread is the last thing I thought I’d be writing about, but it would be a pure injustice not to mention it’s light, airy texture, salted incredibly. Fried clam roll, lemony mayo, kimchi vinegar, pickles – $9. One word: AMAZING. Soft bread, crunchy goodness and the peppers rock! Spicy Spanish octopus, saffron aioli, olive – $13. It was my first experience with octopus. It was spongy in texture and chewy. The taste I remember most is the flavor of pancetta. Seared yellowfin tuna, charred octopus, crispy potato salad, harissa – $28. I experienced food at The Optimist like I have never experienced food before…intense flavors with no detail undone when it came to presentation. Every encounter I had with staff members was pleasant, from the hostess taking notice of my black dress and providing me a black napkin, the bartender who told me he even spent his days off there, to the manager who described the place as “one big house.” I could tell our waitress Jenn, genuinely enjoyed her job and was very knowledgeable about the menu. Exposed brick and a weathered hostess station at the entryway. The original slaughter-house flooring in the Oyster Bar. Isn’t this an inviting place to have a drink? Every once in a while, your life crosses paths with someone special. Lenae is my dear friend and soul sister and this was the first time we’d seen in each other in over a year. The fabulous bar area inside the dining room. 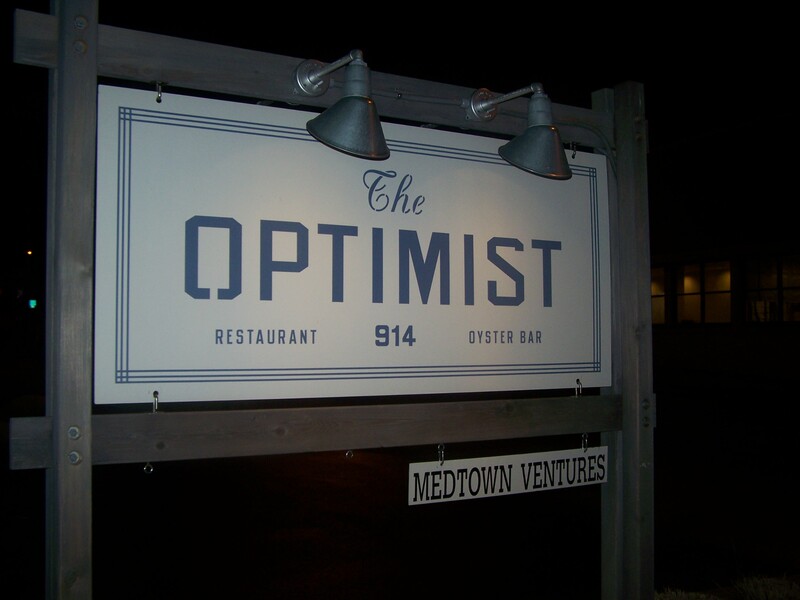 The Optimist has indoor and outdoor seating. Lenae Sneed all dolled up for her night on the town! Seating outdoors near the putt-putt course. Lighting outdoors on the patio. From the fonts to the colors, The Optimist nails oceanic decor. 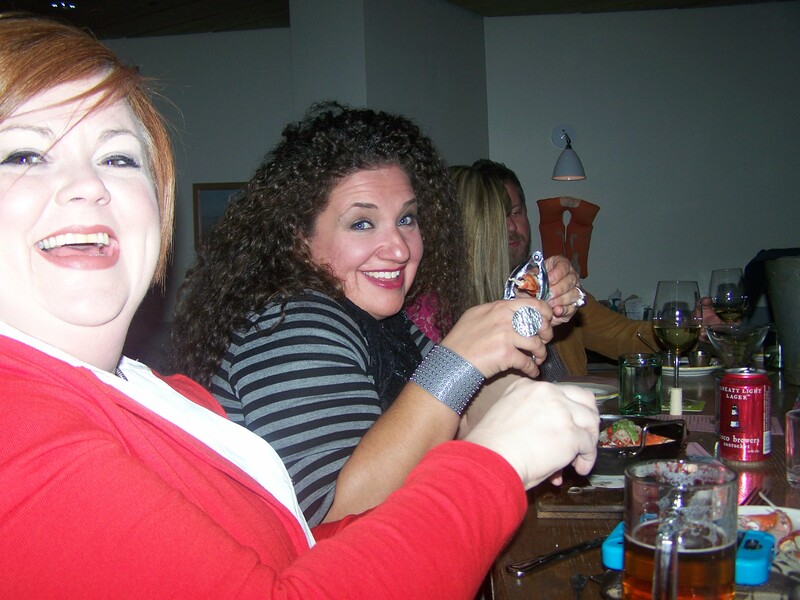 Me (left) and Lenae (right) at the Oyster Bar. My dining buddies, Lenae and Harper Sneed – quality people. Me, happy as a clam in the dining room. 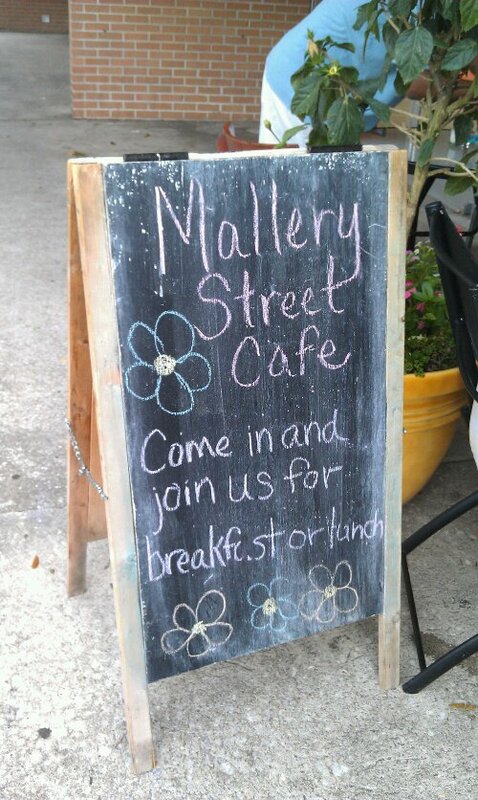 A rainy morning on the last day of vacation led us to Mallery Street Cafe, a quaint place that boasts familiar, great tasting food in a causal setting. 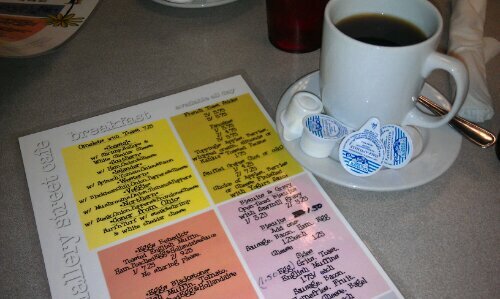 While the rain fell outside, we enjoyed a cozy table inside and awaited breakfast. 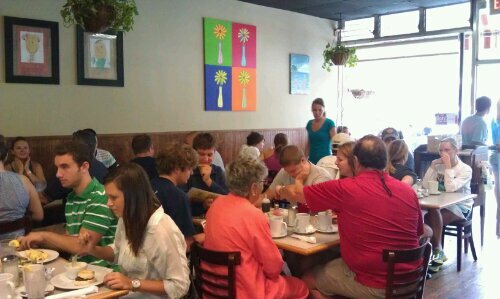 The menu is short and sweet with recognizable breakfast food like french toast, fruit, eggs, pancakes, grits and toast. You won’t break the bank here, because the items are a la carte. What is it about a coffee mug on a saucer surrounded by cream and a little spoon for stirring that elicits such a good feeling? A welcomed sight indeed in the early morning. 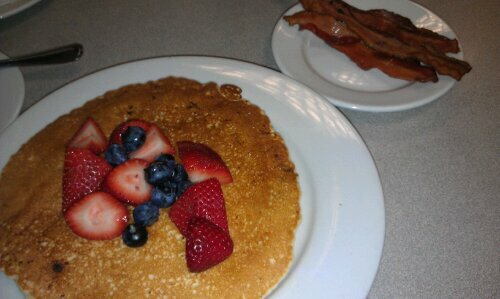 It was nice having the option to specify how many pancakes you wanted. 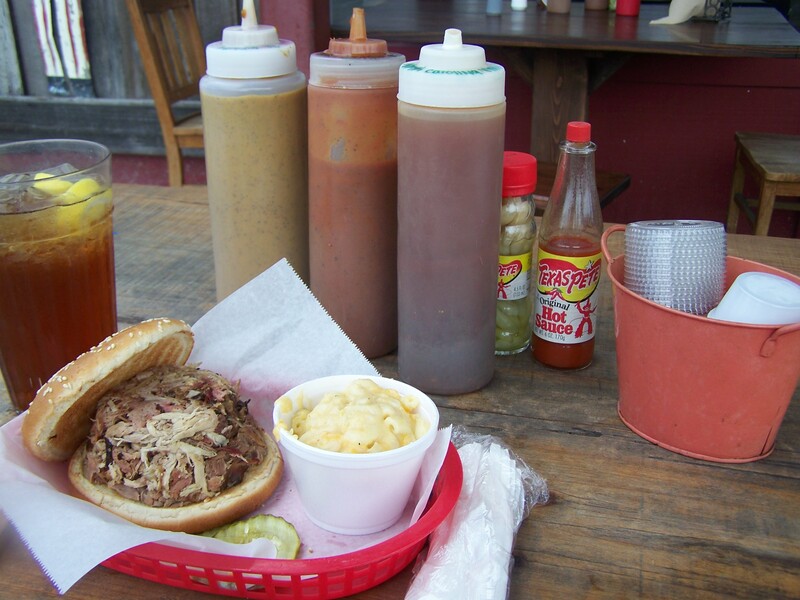 So often at restaurants, a set number proves too many and are left uneaten. Two hit the spot. Anytime there’s a packed house, that’s always a good sign. 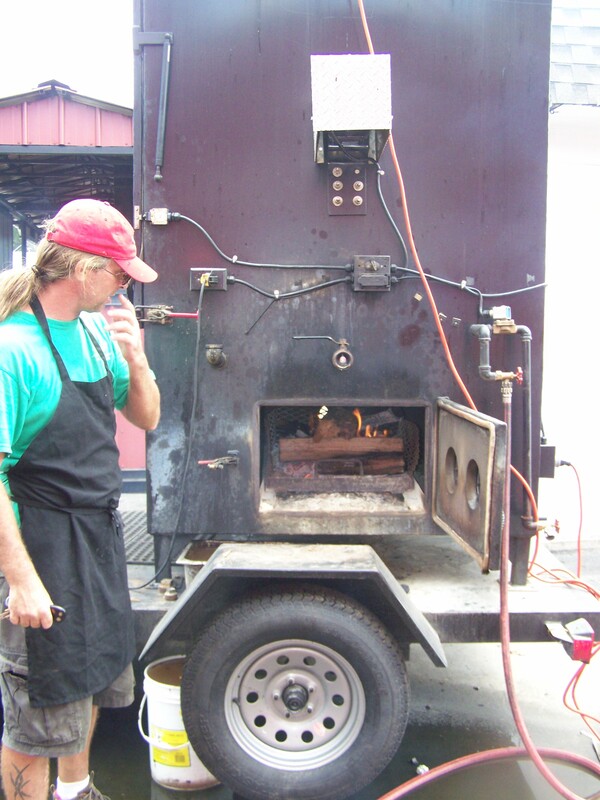 Just give me friendly service and tasty food in a coastal environment and I’m good to go. 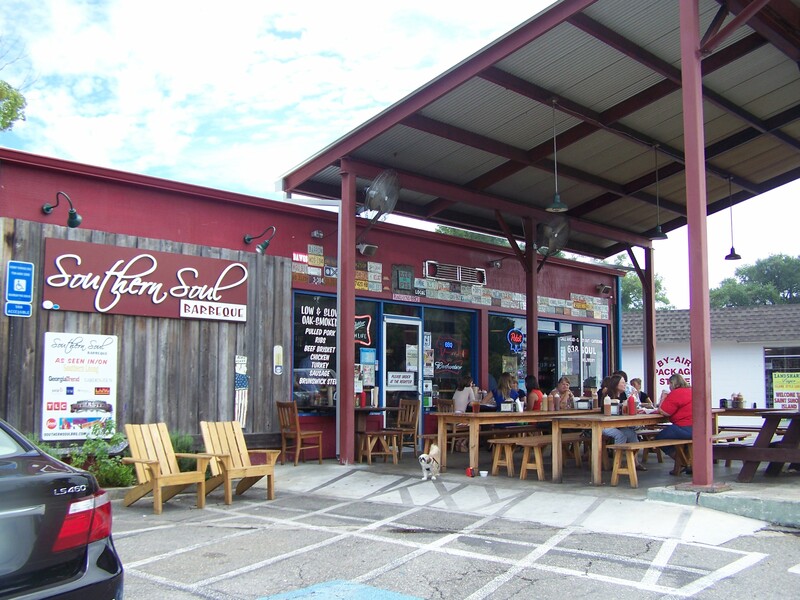 Located just across the street from the popular St. Simons Island Village, the cafe is a short walk from the Pier. 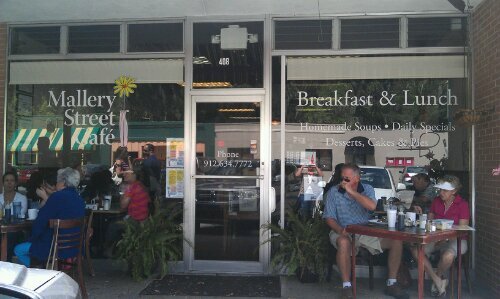 Open for breakfast and lunch, the cafe serves homemade soups, desserts and features daily specials. 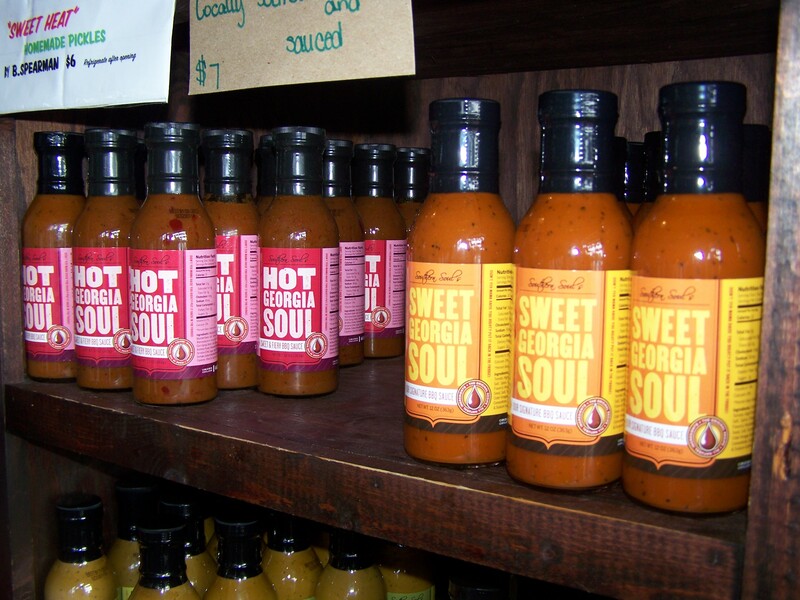 Make this place a stop on your next visit to the Golden Isles–you’ll leave simply satisfied. 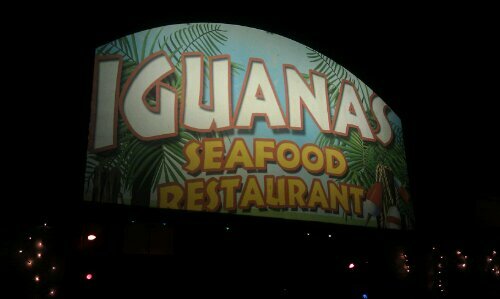 Though I’ve been going to St. Simons Island my entire life, I discovered Iguanas Seafood Restaurant just last year. 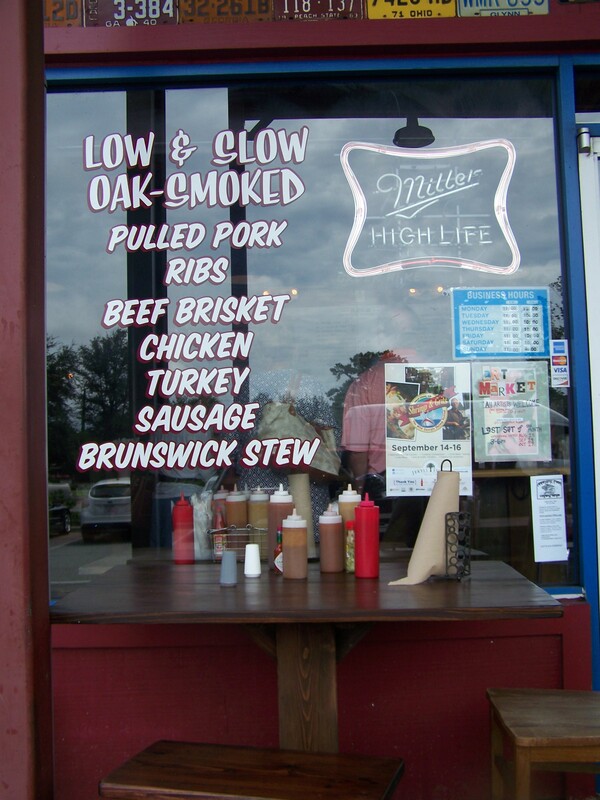 If you’ve ever spent any time in the Golden Isles on the Georgia coast, you know there are many good places to dine, and my family has always had their favorites. Being the creatures of habit that we are, we typically always visit the same places. Last summer though, we tried somewhere new and I’m so glad we did. 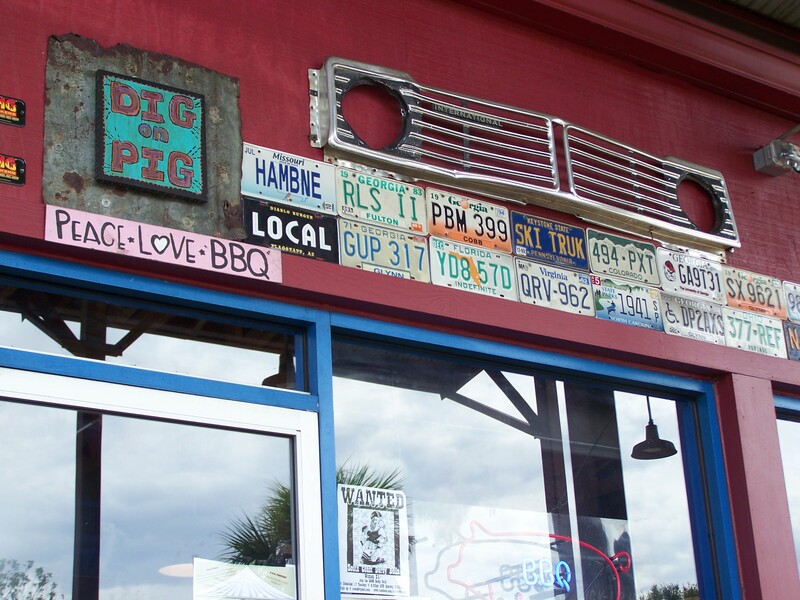 With its colorful island-inspired walls, sail boat and fishing net decor and fun bar scene, Iguanas Seafood Restaurant is located in the heart of the village among all the great little shops near the St. Simons Island Pier. 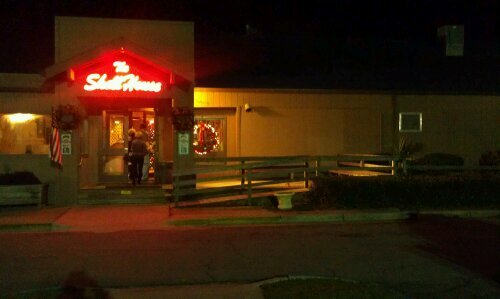 This year, we had New Year’s Eve dinner there. It was funny seeing the place decked out in Christmas lights and faux snow. 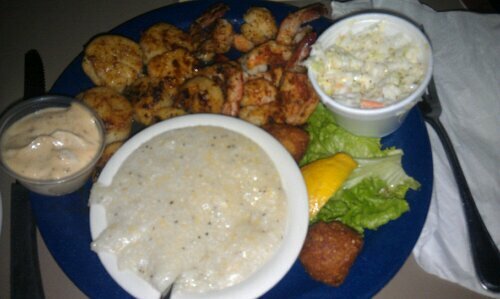 I ordered the shrimp and scallops dish, blackened, with grits. I don’t usually get scallops but I thought I’d give them a try. 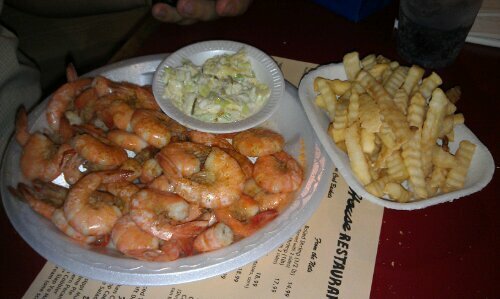 The shrimp was delicious, but I didn’t find the scallops to be that flavorful. Have you ever had scallops? I get the sense they must be like tofu in a way, taking on whatever flavor in which they’re cooked. The texture was spongy and just didn’t do much for me. Grits are the perfect accompaniment to shrimp any old time. The hushpuppies were crispy on the outside and succulent in the center, perfect for dipping in their house remoulade sauce (pictured left above). My cousin Justin is a fan of my food blog, and when he saw me get out my camera to snap a shot of my dish, he excitedly offered his up and said, “Rebekah, wanna blog about this?” He ordered the special of the evening…soft shell crab with french fries. I’m pretty sure he cleaned his plate. The great thing about eating dinner and shopping in the village is walking out on the newly renovated St. Simons Island Pier afterwards. I probably have at least one picture from each year of my life out on it, and I’ve often said it’s one of my favorite places on earth. I love to walk out to the end of it and watch the porpoises swim and see the shrimp boats in the distance. I’d like to be on one of those shrimp boats one day. While out walking on the beach and at the pier, I met several folks from up North. One couple from Massachusetts and another group from Connecticut. They had each rented a condo for 3 months on the island to escape the cold weather in their hometowns. I don’t blame them! This is the whole New Years crew, with our dogs, after breakfast the next morning. That’s me in the middle, on the far left between Brad and my cousin Justin, who’s holding my precious puppy Ewok. My good friend Patrick is next to him and the couple with the two labs–Constance and Justin, are great friends from college. I couldn’t think of a better way to spend the first day of the New Year. There’s nothing like cracking open a crab leg and pulling one long, succulent, in-tact piece of crab meat out of the shell, preparing it for its butter bath. 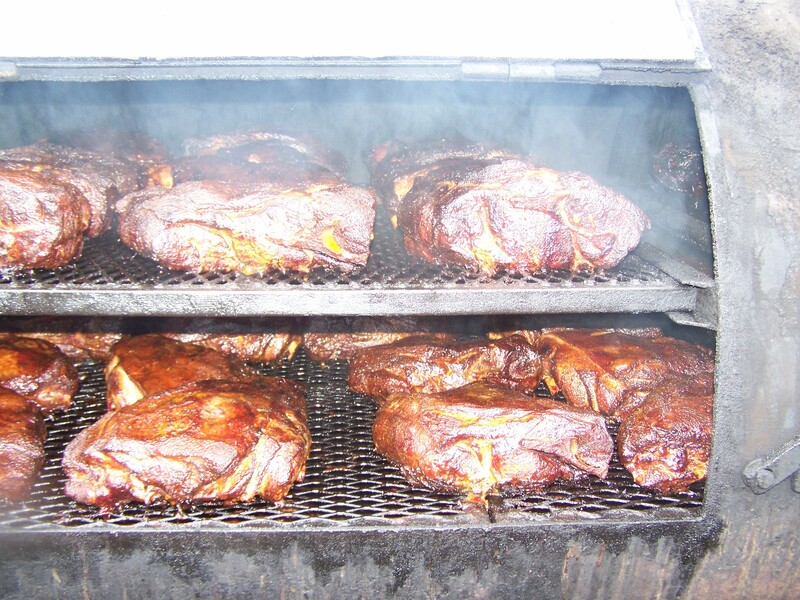 Pair that with a good, cold drink of sweet tea with a fat lemon wedge and a little Jimmy Buffett, and life is good. Last night I visited The Shell House. 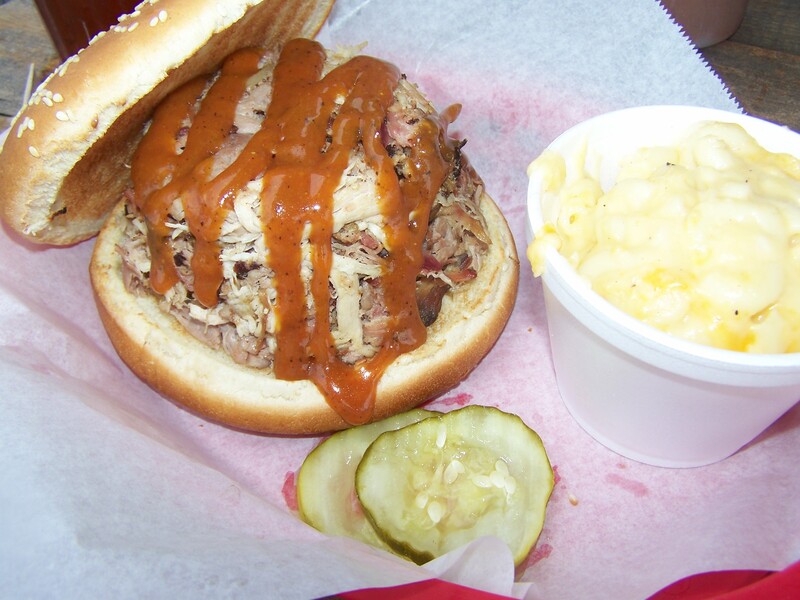 The prices were high, but the portions compensate and the food was delicious. 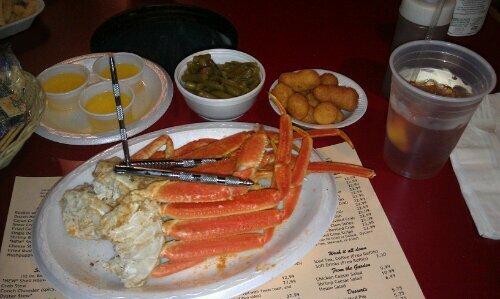 I ordered snow crab legs, my favorite kind of seafood next to crab cakes. Hushpuppies and green beans were its counterparts and I’m telling you what, it doesn’t get much better. Here we are a week from Christmas and we’re eating seafood like it’s the Fourth of July. Who needs sweet potato casserole when you’re 45 minutes from the Georgia Coast? 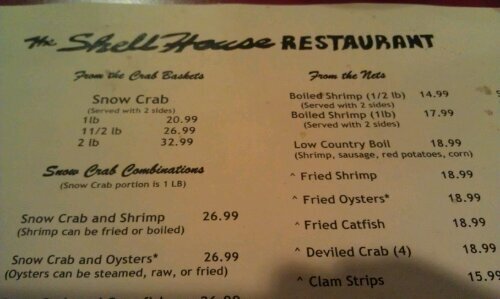 I say bring on the crustaceans, anytime of year! The restaurant was quite busy, even on a Sunday night, which is always a good sign. 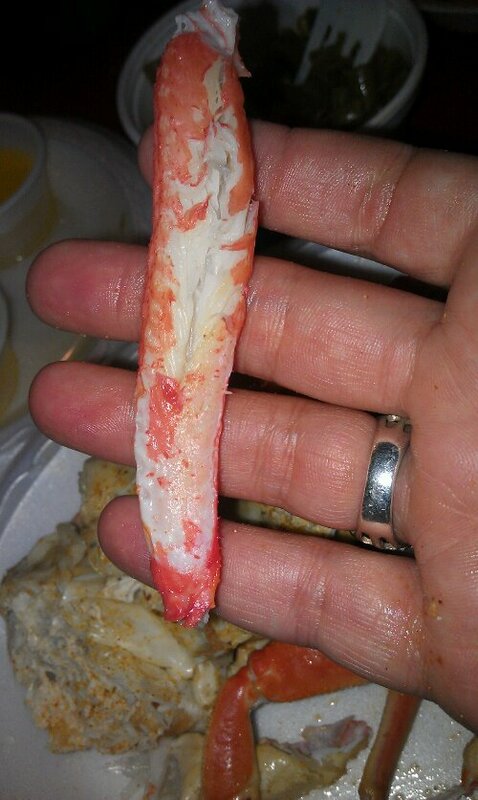 The only downside to eating crab legs is that you’re always the last one to finish because it takes a little bit of work. 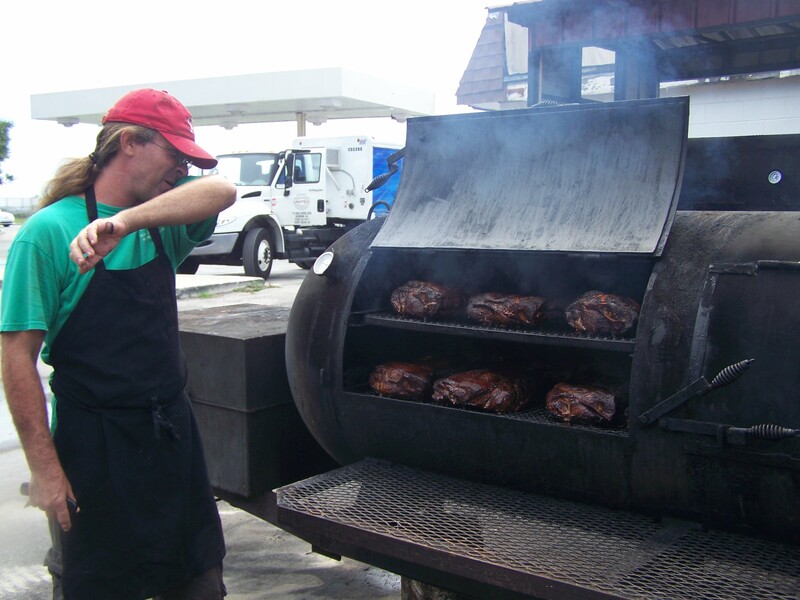 When you taste that meat though, it’s worth every minute of the time you spend getting to it. 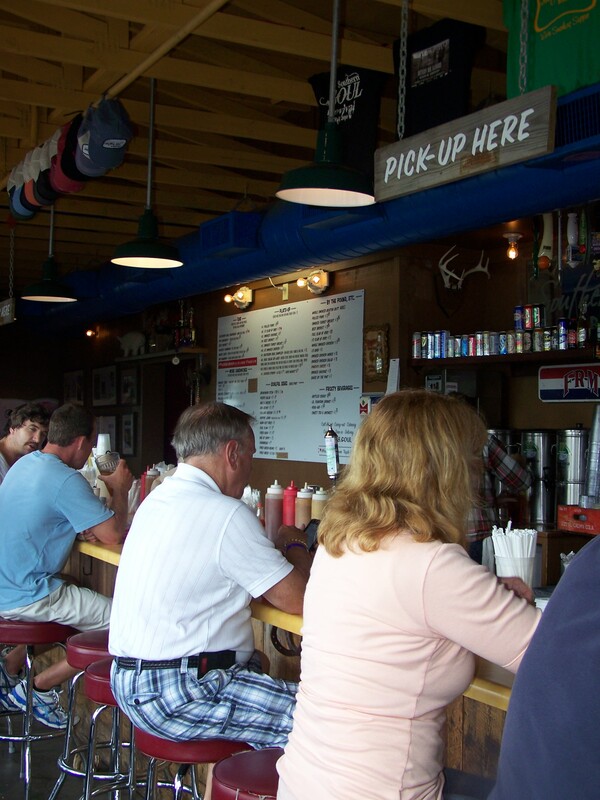 The tables at The Shell House have holes in the center, so when you finish peeling those shrimp or cracking those crab legs open or shucking those oysters, you can conveniently discard all your trash. 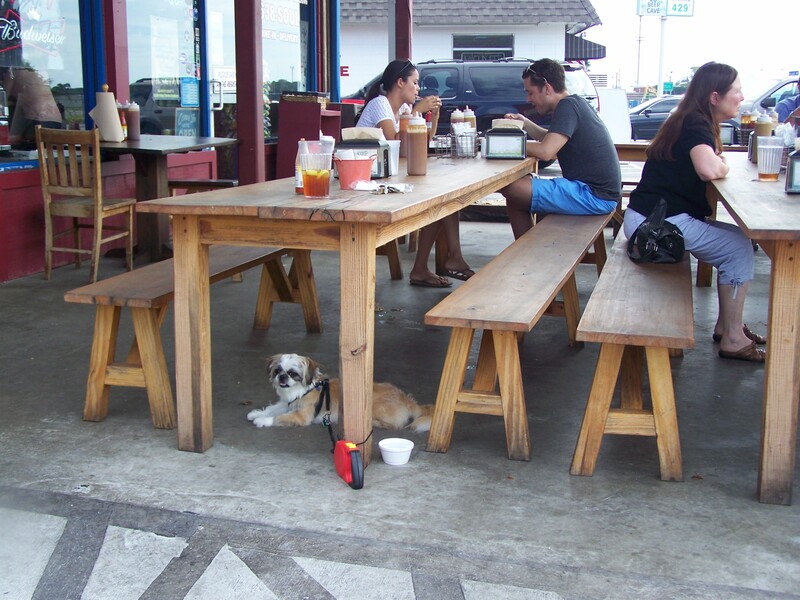 It’s a casual atmosphere…don’t go expecting white table cloths or fine china. In fact, you’ll eat off of paper plates and drink out of plastic cups but it’s hard to beat the amount of food you get for the price. It’s fresh and hearty. That’s what I’m talkin’ ’bout! 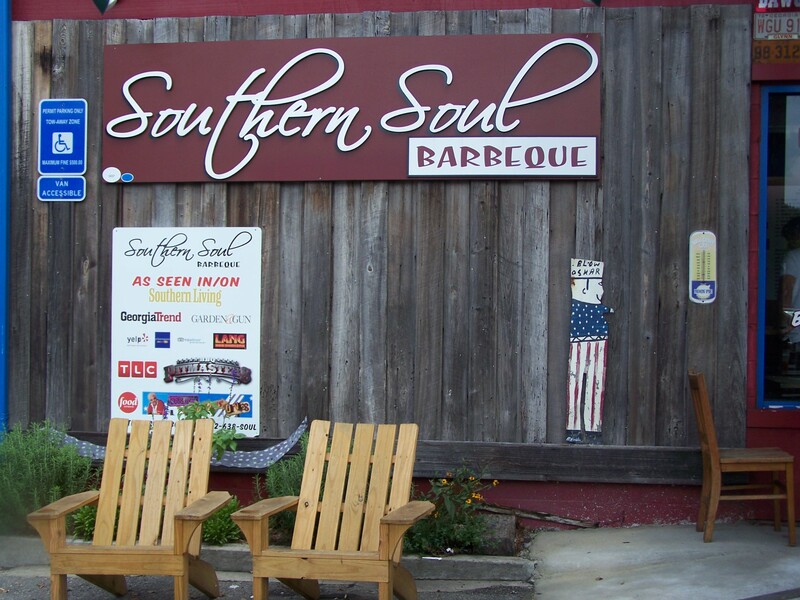 A great place for dinner on the weekends. 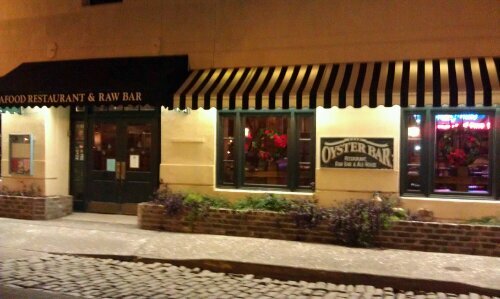 Over the weekend, we met some friends at The Oyster Bar Restaurant, Raw Bar and Ale House on River Street in Savannah. 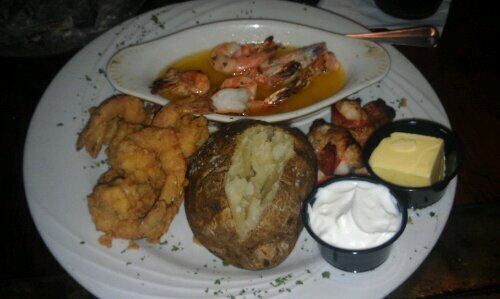 I ordered the Shrimp Trio–fried shrimp, shrimp scampi and bacon-wrapped shrimp stuffed with crab meat. Man alive! It was Some Kinda Good. I had a caesar salad and baked potato alongside it. The bacon-wrapped shrimp, stuffed with crab meat, was the description that caught my attention and what made me order the dish. I love seafood and I mean, how could you not like any crustacean wrapped in bacon? Before the food arrived, the waiter brought out what they referred to as “hushpuppies,” but they tasted more like little doughnut holes served with honey butter. I ordered a good glass of red wine, an Australian variety of Shiraz, and had a good time reminiscing about our college days with old and new friends. The Shrimp Trio Dish…pretty much delectable. If you’ve never visited River Street in Savannah, it’ll be worth your time. I have been several times, but never during the Christmas season. I just recently moved back to Southeast Georgia, and Savannah is only a short 45 minutes away. It was a comfortable 60 degrees, no wind blowing, no wait and no crowds. 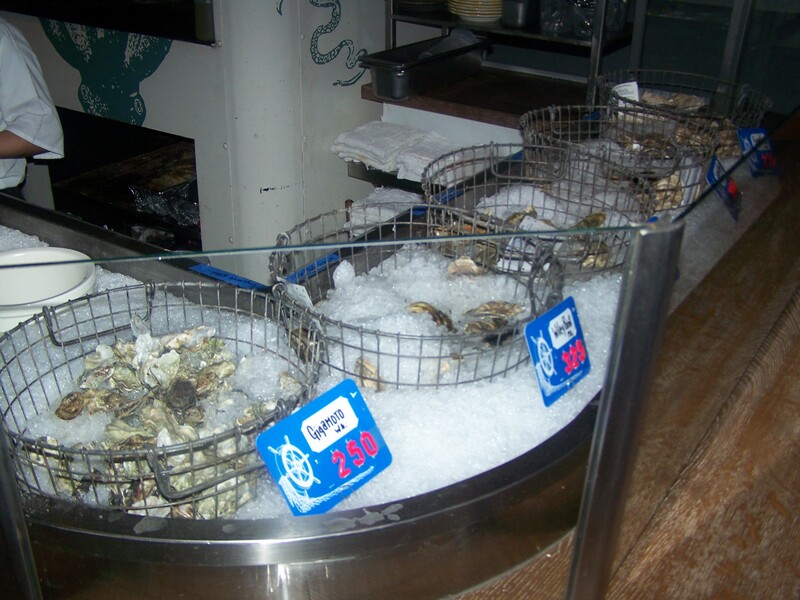 I would definitely visit The Oyster Bar again and would highly recommend it. 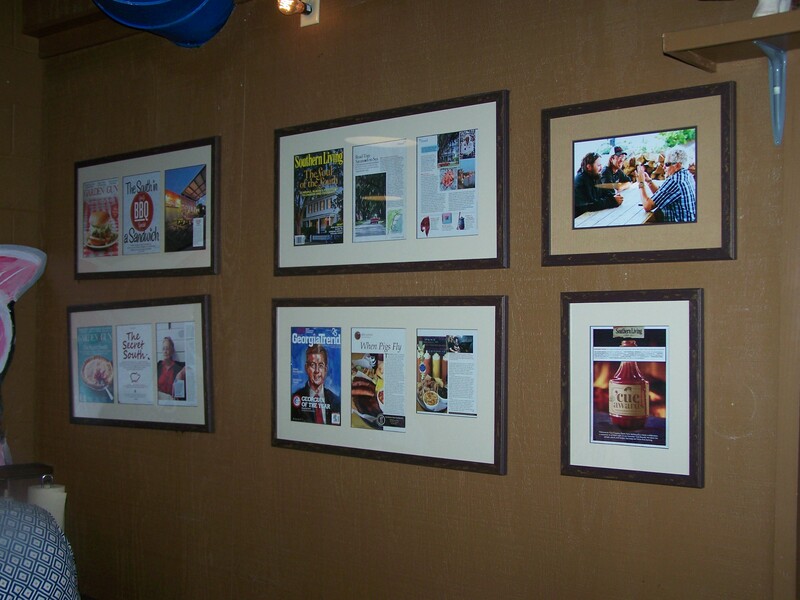 Besides, you just can’t go wrong with friendly service, quality food and a great atmosphere.